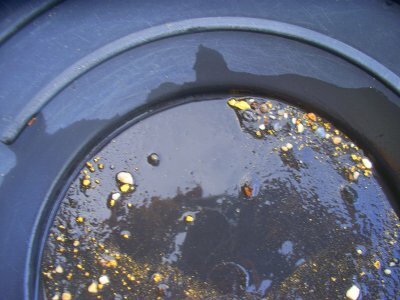 THE GOOD NEWS: EOMA members are mining gold successfully as I write this, four days before the new year. Gold prices have never been higher, ever, in the history of the planet. Gold production, in the mean time, is shrinking dramatically around the world due to the preponderance of unstable governments who have imploded into their own greed, corruption, ignorance and self-destruction. Gold demand is rising dramatically as a result. But while it is the best of times for gold demand, it is the worst of times for gold miners in the U.S. THE BAD NEWS: The U.S. has developed its own - albeit more sophisticated - version of the same greed, corruption and ignorance. Here, mining has been systematically paralyzed by a stifling mob of lawyers, politicians and environmental zealots. While China, Kazakstan, Malasia, Australia, Zambia and scores of other countries race to develop their valuable mineral resources, U.S. miners are being methodically disabled and villified by an arrogant, bourgeois culture of over-sensitive misfits. The European Union, of course, applauds this new wave of American economic masochism because they have no mineral resources of their own. The combined mineral resources of all of Europe wouldn't rival the mineral wealth of the State of Nevada, alone. It is no wonder that they dearly love to pull down a powerful American mining industry to their own dismal and unproductive resource level. In doing so, they force the United States to surrender to the whim of foreign raw material traders - to become completely co-dependent upon the same unscrupulous tyrants who satisfy the mineral needs of europeans - even though as a nation we are, and always have been, capable of total mineral independence. THE UGLY NEWS: The mining industry as a whole cannot expect to recover soon from the incredible damage that years of propaganda have affected upon generations of Americans. At least not without bribing those who seek to terminate mining altogether or by contributing hansomely to the standard political extortion that buys a bureacratic blind eye. Small miners are utterly helpless to combat this type of tyranny, and would be punished severely by any number of government agencies should they attempt to challenge any aspect of the status quo. Sadly enough, it is the goal of this current, insidious, culture to rid itself of the American small miner. In doing so, they seek to eliminate everything that survives of the true American pioneer spirit and the virtue it represents in all of us who continue to strive in the same manner. The Eastern Oregon Mining Association - more than any other time in its history - has become an island of strong, self-made men and women surrounded by a sea of self-serving plebeians who believe that they can somehow elevate themselves by confiscating the fruits of our labor and destroying our means to produce the same in the future. Those who oppose us understand nothing of hard work, personal motivation, individual dedication, physical and finacial risk or even adventure. These things are not the components of a modern American lifestyle, they say. Having said that, the very same virtues may be critical in saving America from itself.